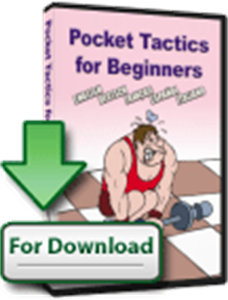 Pocket Tactics for beginners is a Pocket PC version of the famous program Chess Tactics for beginners. The author, well-known coach Ivaschenko, has been working at this chess material for over 20 years and many experts consider his handbook to be the best for beginners. The program consists of over 1300 instructive exercises of various difficulty for beginners on the following topics: Mate in 1, Winning material, Draw, Sacrifice material and etc. While solving, you are shown refutations of wrong moves as well as other helpful hints. Having studied this program any beginner should reach intermediate player level. SYSTEM REQUIREMENTS: Pocket Chess Tactics runs on Pocket PCs with Windows Mobile 2006, Windows Mobile 2005, Windows Mobile 2003 and Pocket PC 2002.